Waterside catalogue | All Titles A-Z | Your Honour Can I Tell You My Story? by Andi Brierley. With a Foreword by Jim Hopkinson. 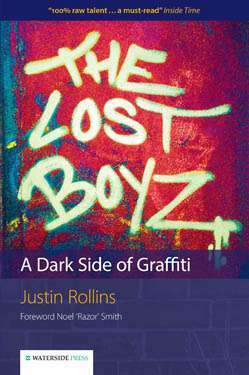 The challenging story of a young persons progress through care, prison and social rejection to youth justice specialist. It charts failures to connect with and modify the authors chaotic early life moving from place to place, school to school, fragmented parenting and poor role models. Encircled by crime, drugs and baffling adults, Andi Brierley ended up first in a young offender institution then prison where he learned to think like a prisoner for his own survival, making everything harder for everybody on release. Until he determined to change and others saw his unenviable past could be put to good use. Shows how small things can make a difference. 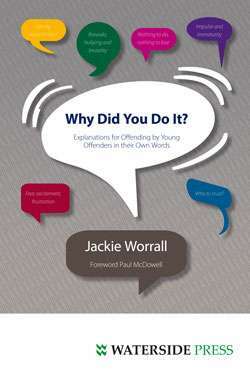 Contains many insights for professionals, students and others interested in young people in trouble. 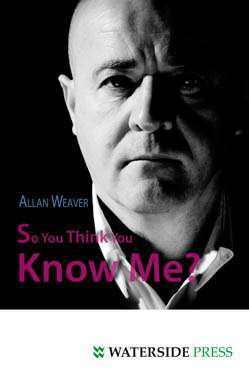 An addition to Watersides acclaimed turn around stories, including Alan Weavers So You Think You Know Me?, Ben Ashcrofts Fifty-one Moves and Justin Rollins The Lost Boyz. 'Wow!! I didnt put it down once I started reading!' -- Lynda Marginson CBE, Director - National Probation Service (NE). Andi's compelling story shows why we should never give up on the capacity of people to change-- Jim Hopkinson, Bradford Childrens Services. Foreword; Introduction; Who Am I? ; Party Time; Shunted Back and Forth; Bilston; A Life of Crime; The Drugs Chain; Grafting; A Taste of Custody; Cyclops and Other Fine Friends; Harehills; Work and an Evening at Elland Road; Doncaster; Deerbolt; Clubbing the Night Away; Addiction; Here We Go Again! ; Sportsperson; Release; Youth Justice Volunteer; Golden Opportunity; The Professionals; Me, promotion?; Back to My Youth Justice Roots; Postscript. Andi (Andrew) Brierley grew-up mainly in and around Leeds, where he is a Children Looked After/Care Leaver Specialist within the citys Youth Offending Service. He also spent time in the Midlands. Alternative format ISBNs: PDF ebook ISBN 9781910979723. EPUB / Kindle ebook ISBN 9781910979716.